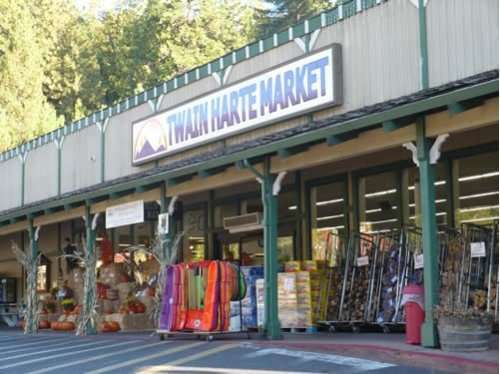 The biggest grocery store in Twain Harte, CA is the Twain Harte Market. Twain Harte Market stocks the best of local, regional, and international food products. It serves fresh baked pastries, gluten-free products, and specialty organic meals. The wine department offers the largest selection of local and organic wine as well as specialty imports. There is a good selection of other organic products. My favorite food at the Market is the sandwiches. Similar to Costo, Twain Harte Market gives many food demonstrations and the employees love to chat about food. 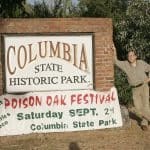 Ask for tips, recipes, and new ideas. Twain Harte Market is also involved in the community. Owners Linda and Bob Parriott provide support for dozens of community organizations.